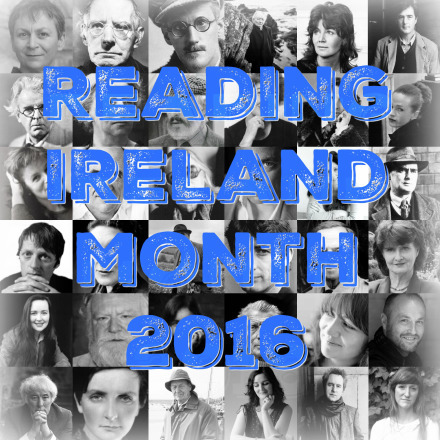 For Reading Ireland Month this year, I was determined to read one of Maggie O’Farrell’s novels, after reading TJ’s review of The Hand That First Held Mine and Cathy’s review of The Vanishing Act of Esme Lennox. I would have been happy with either of them. But the only two of her books in my library are After You’d Gone and Instructions For A Heat Wave. I didn’t know much about either of them, so I just chose the most recent. And it was so good. Strange weather brings out strange behaviour. As a Bunsen burner applied to a crucible will bring out an exchange of electrons, the division of some compounds and the unification of others, so a heatwave will act upon people. It lays them bare, it wears down their guard. They start behaving not unusually but unguardedly. They act not so much out of character but deep within it. One day during the heatwave of 1976, Gretta’s husband leaves the house in the morning and doesn’t come back. Over the course of the next three days, all three of Gretta’s children come home to be with her, and to try to figure out what to do. As with all the best books (in my opinion), this book is all about the characters and their interactions; what they say to each other and what they keep to themselves. Yes, there is a plot, but it would be flimsy without the interesting characters. As long as I could read about their lives, I was happy – it almost didn’t even matter to me what was going on. A man hurrying home to a wife who will no longer look him in the eye, no longer seek his touch, a wife whose cool indifference has provoked in him such a slow-burning, low-level panic that he cannot sleep in his own bed, cannot sit easily in his own house. Homesick: she’s found that it really does make you feel sick, ill, maddened by longing. But by evening, she is always ready, her grief behind her, hidden, like a deformity she must cover up. Hair up. Makeup on. Supper on the range, She will make this work; she will not go back; she will not show them that she’s been beaten again. Aoife‘s need to get away, and her biggest secret. She cannot read, This is her own private truth. Because of it, she must lead a double life: the fact of it saturates every molecule of her being, defines her to herself, always and forever, but nobody else knows. Not her friends, not her colleagues, not her family – certainly not her family. She has kept it from all of them, felt herself brimming with the secret of it her whole life. In the midst of the choas of their lives and the shock of their disappearing father, the siblings come up against each other and their past. But, underneath all of the hurt, anger, past resentments and humiliations, there is tenderness. And then there is Gretta, who has just lost her husband and doesn’t know what to do. But she hides behind her motherhood, and concerns herself mostly with her children and the desire for them to be well. Like many good mothers, she has a hard time putting her own concerns first, and tries to play down how upset she is about her missing husband. She registers an urge, at first dull, then sharp and jagged, to see her husband, to share this with him, perhaps not in words, but just to sit by him and know that he was feeling what she was feeling: their girls, their beloved offspring, in terrible disarray and nothing to be done. Over the next three days, the family members become re-acquainted, new revelations come to light, and secrets are uncovered. This story is entertaining, touching, and relatable to anyone who has ever had a family or been in one. How is it possible, when there are so many people in the world, for a life to be so shockingly solitary? What he finds hardest about family life is that, just when you think you have a handle on what’s going on, everything changes. All 5 members of this family could fill up the pages of their own book. Monica’s life intrigues me the most; her determination to hide her depression, her feelings of being trapped. How will she find her way out? 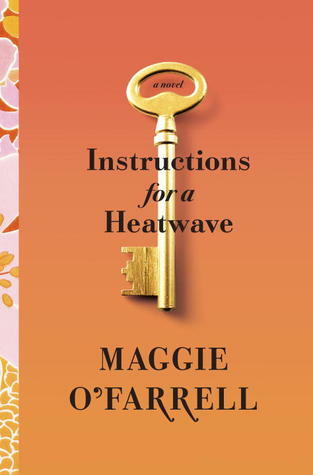 It is clear from reading this book that Maggie O’Farrell gets stuff. For example, there is one section near the beginning of the book that describes what it can feel like to go from having very young children hanging off you all the time to becoming more independent, giving the mother time to think for the first time in years. It seems to him that, for as long as he can remember, he would come home to find his wife with at least one child attached to her body…. That was the way things had been, the way life was in their house: Claire was two people or sometimes three. Presumably she had thought this, too, because in the last while, since Vita had turned four, he had been greeted by the unprecedented sight of her standing alone in the kitchen, one hand resting on the table, or sitting gazing out of the bay window into the street. He could suddenly see all of her, in her astonishing separateness… You might have thought she’d be feeling relieved at this change, after a decade of intense child-rearing, a break in the clouds. But the look on her face when he chance upon her in these moments, was that of someone who’d lost their way, who’d been told to go somewhere but had taken the wrong turning, the look of someone who had been on the verge of doing something important but had forgotten what it was. I didn’t know anything about this book when I read it, and I don’t remember seeing a lot about it from other bloggers since it came out. There are a lot of professional reviews out there, and I did find this one by Jenny at Reading the End where she talks about how the ending feels unfinished. And I found this interview in which O’Farrell discusses the 1976 heatwave, dyslexia, and how being a mother makes her a better writer. I read this book for Reading Ireland Month/The Begorrathon, which is being hosted by Cathy at 746Books and Niall at The Fluff is Raging. Oh, it’s good to hear you liked her new release. I’m sure lots of people are anxiously waiting for it! I’m excited to have all the rest of her books to look forward to! Thanks, Kelly! I still have a long way to go in the Atlantic Lit department – I so easily get distracted by all the other great books! 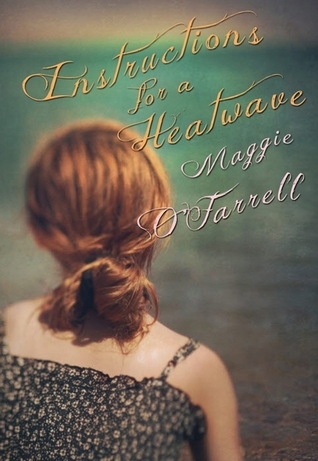 I stupidly wrote Maggie O’Farrell off as chick lit – not for me – when she first came to the fore in the UK but was then persuaded by someone whose opinion I trust to read After You’d Gone and loved it. Oh good! That’s the other one at my library! That’s what other readers are for, right? I loved this novel and I found myself furiously nodding in agreement all the way through your review. I’m planning on writing about Anne Enright’s ‘The Green Road’ for ‘Reading Ireland Month’ and it really reminded me of this, but isn’t nearly as convincing. I agree The Green Road is quite similar in format (following all the adult children) and setting. I liked it about as much. I guess The Green Road is going on my list, then! Interesting comparison. I’ll be watching for that review! I have read ZERO Maggie O’Farrell, but I’ve been seeing praise for this (+ The Vanishing Act of Esme Lennox) being bandied around the Internet for absolutely years. Yours is the first review to give me a sense of why people might love it so much. Thank you! Another Maggie O’Farrell newbie! Which one will you read first? Definitely either Instructions or Vanishing Act—whichever I come across first! I’m feeling envious of your Esme Lennox already! I’ve been wanting to try Maggie Farrell for some time but haven’t yet. Thanks for the review! I am an instant convert, Kay. You should try her, too! Great review! I read and enjoyed After You’d Gone years ago, and always meant to read more of her stuff, but you know how it is! This one sounds intriguing though – I love the quotes. Lovely review, Naomi. I’ve read a few of O’Farrell’s novels – After You’d Gone, The Distance Between Us, and Esme Lennox – all very good (mostly book groups reads for me). She’s strong on character and relationships, that’s for sure. Glad to hear this one hit the spot for you. I’m pretty sure you would enjoy her other books too. It’s great when you discover a ‘new’ writer through an event like this. Thanks for reading, Deepika! She was a new author for me, as well. Let me know if you decide to read it! So this is your first Maggie O’Farrell! That’s exciting! I really liked The Vanishing Act of Esme Lennox, in particular, but I need to do a reread of some of her past books. Instructions for a Heatwave was not my favorite, as you mentioned. O’Farrell’s writing is excellent, though, and she writes such wonderful characters. If this one was not her best, then I just have that much more to look forward to! I’m so glad you found Maggie o’Farrell. I know she’s Irish, but i always think of her as an Edinburgher since she lives in my neighborhood (we share the same cleaner). Heatwave is the only one of her books I’ve read, but i really want to read Esme. It sounds like you could totally claim her as an Edinburgher! Some writers are on that fuzzy in-between line of being born in one place, but live in another. Like Elle, I haven’t read any of Maggie O’Farrell’s work, but now I’ll seek it out! Thanks Naomi! I think you’d like her! I loved The Hand That First Held Mine, so I’ve definitely got her other works on my radar. I think you’re right–she gets it when it comes to characterization. She picks up on the smallest things that make characters interesting. It’s fun to discover a new author who has a fair number of books under her belt already!